May 1, 2014 / Milan, Italy -- Diana Vachier and Alberto Panizzoli of American Pop Art, Inc. are proud to announce the exhibition, “Barbie Around the World,” an exhibition devoted to the world’s most famous doll, from May 8 through June 20, 2014 at Barbara Frigerio Contemporary Art in Milan, Italy. A grand opening celebration will be held May 8 at 6:00 PM. Barbie Around the World is a photographic project by Maria Giovanna Callea and built by Enrico Pescantini that celebrates the 55-year old icon that captured little girls’ hearts, and journals her adventures of Barbie and Ken in several countries. 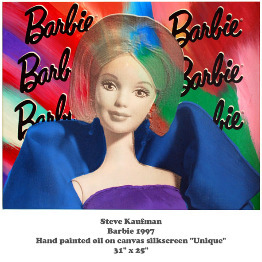 This exhibition by Barbara Frigerio Contemporary Art unites distinct works by a number of talented artists, including the late pop artist Steve Kaufman, who painted “Barbie 1997,” a 31” x 25” hand painted oil on canvas silkscreen, one of his highly acclaimed "Uniques." Immortalized by the photographer's lens, we find Barbie and Ken frolicking by between the crystal clear waters of the Caribbean Sea, and traveling on a road trip to the dusty streets of faraway places. 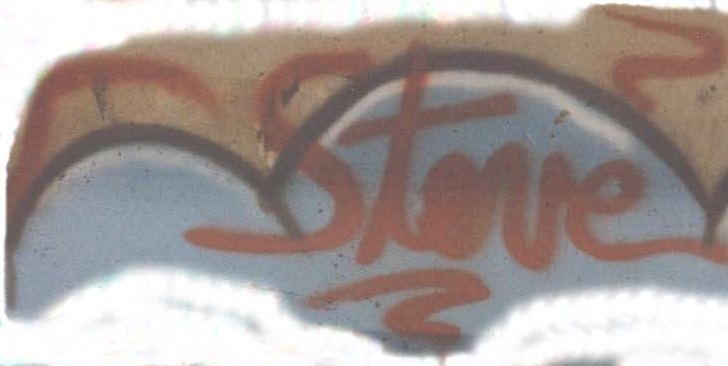 These digital photos in vivid color and rich compositions serve as the backdrop to a series of vintage Polaroid snapshots, which recall imagery of the 1970’s. Barbie Around the World will also feature artist doll designers Mario Paglino and Gianni Grossi, also known as “Magia2000,” will present unique creations inspired by Barbie and cultural mystique. Paolo Schmidlin, a Barbie collector and well-known sculptor, will present Barbie statement pieces and original accessories from the 60s, and a grand sculpture inspired by her longevity. The exhibition’s grand opening will feature artist Maurizio Galimberti, and model Arianna Grimoldi in a Barbie-inspired photo shoot. Barbara Frigerio Contemporary Art is located at Via dell'Orso 12 (entrance at Via Ciovasso 3), 20121 Milano. For more information about this exhibition, visit http://www.barbarafrigeriogallery.it.